Dr. Sean Feely of Ramona Family Dentistry is known throughout Ramona and the surrounding area for providing high-quality and personalized dental care. He and his professional staff combine advanced skill with a gentle and friendly touch to help each patient achieve their dental health goals. Dr. Feely specializes in a wide range of general, restorative and cosmetic dental services, including routine and deep periodontal dental cleanings, root canal therapy, teeth whitening, dental implants, porcelain veneers, bridges, crowns, and anti-snoring and TMJ splints. Restorations are fabricated using only the strongest dental materials that closely resemble natural tooth enamel. Each patient’s unique specifications are considered to create dental restorations that blend seamlessly into the mouth. Dr. Feely also offers sedation dentistry techniques to put fearful and anxious patients at ease during their visit. Dr. Feely’s state-of-the-art dental practice is equipped with the latest dental technology, including digital X-rays, intraoral cameras, laser dentistry and the CEREC dental restorative system. These tools and others help Dr. Feely and his staff provide precise, personalized dental care. To schedule an appointment for you or your family, or to inquire about treatment options and their estimated costs, please contact Ramona Family Dentistry by calling (866) 684-7244 today. 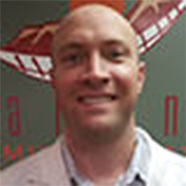 Sean Feely, DDS, received his bachelor’s degree from the University of the Pacific in Stockton, CA, in 1999. In 2002, he earned his dental degree from the University of the Pacific School of Dentistry in San Francisco. After finishing dental school, Dr. Feely returned to Southern California and began his dental career. He established his dental practice, Ramona Family Dentistry, in 2007. In addition to providing quality dental care, Dr. Feely enjoys traveling and discovering new places to see in San Diego with his beautiful wife and newborn son.